Malte Schneegass received his engineering degree in computer and automation technology from the University of Applied Science, Dresden (Germany). In 2012 he joined Cloud&Heat Technologies, a provider of cloud-based computing services, with the waste heat produced by the servers also being used to heat buildings and water. In May 2015, Cloud&Heat received the award Deutschen Rechenzentrumspreis 2015 in the category “Newly built energy-efficient and resource-efficient data centers”. 1. Could you explain us why the Cloud&Heat has a different approach to the cloud computing services? Cloud&Heat is a distributed data center which combines the businesses of a cloud services provider and providing heating devices for residential and industrial buildings. The cloud servers are installed directly in the properties to be heated. Multiple smaller data centers are connected via the internet to form a virtual data center. Cloud users can take profit from this decentralized infrastructure by programming fail over mechanisms from one location to another and build up reliable and highly available services. Nowadays, our efforts are dedicated to manage and maintain the distributed data center. We are focused on developing the product, from the server components to the heating system, as well as the connectivity and scalability. On the other hand, we are really happy with the feedback received from the heat market, which has demonstrated strong interest in our product. 2. How can the scientific research led to products or how can it reach the industry? It’s not easy to reach the industry with research results. Usually there is still a long way to go to make them economically valuable for businesses. In our case, for example, we still need to continue our research and devote a lot of efforts to make a product that meets the industrial needs. We are constantly improving our product and are able to establish a new innovative product in the market. 3. What led you to work in this field? What do you like about it? I studied automation of systems and processes. My current work is about automating a highly distributed heating system that uses cloud computing as fuel. Before implementation, conceptional work with models and simulation was necessary. Afterwards, we shaped the plan with a lot of interdisciplinary work, computer science and HVAC engineering/control loops. It is thrilling to see how the different technologies create the synergy effect. I like to work on something that makes our daily life smarter and more sustainable at the same time. 4. What are the key technical challenges which need to be tackled in order to achieve more energy-efficient computing systems? With the installation of distributed data centers we have done a great step forward. 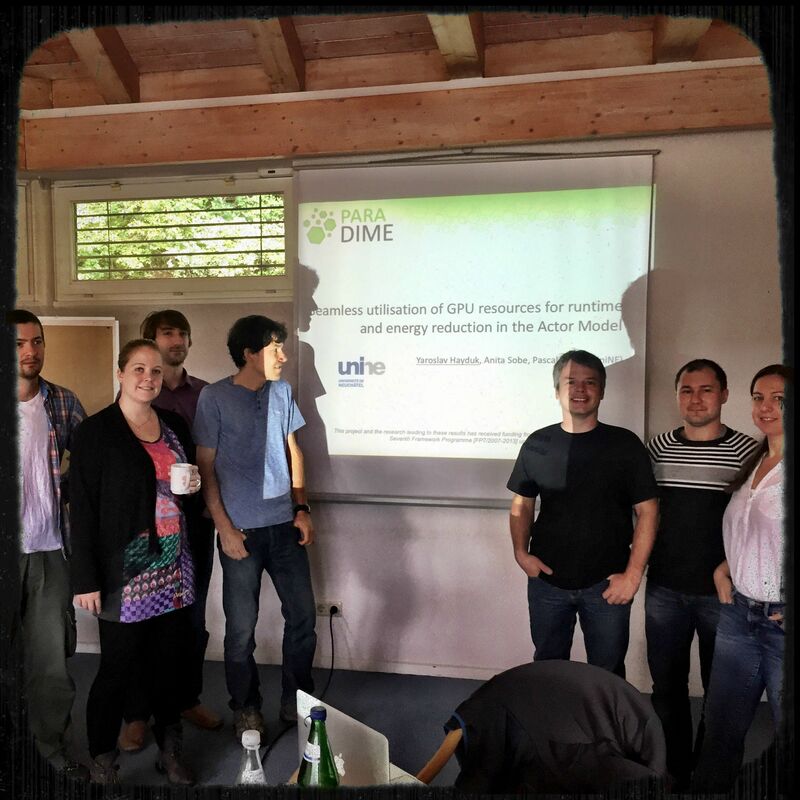 The next step is to make it as energy-efficient as possible: this is something we already do in the ParaDime project by implementing and improving smart-scheduling algorithms in our data centres. However, the computer architecture and server architecture based on electronics loose heat. Either we are able to re-use this energy if not it is wasted heat that could be used for free warm water to shower or for heating purposes.